When I started Babywise with my first child I remember my mother saying to me “won’t he end up being rigid and unable to be flexible due to this much structure?” I remember replying to her that if that was the only negative to come from having a set routine everyday then I was all for it! I do think it’s common among Babywise babies to have some issues being flexible as they get older. They thrive on routine and structure and when things are changed up or done differently, they struggle a bit. As a toddler I really saw this as an issue for my first born. He wanted things done the same way, in the same order. At bedtime he wanted us to each say our prayers in a set order and if something got messed up with that order he’d want to start all over again with the “right” person going first etc. He seemed to go through a bit of a stage where those types of “obsessions” went into many areas of his day. He would get upset when things weren’t “perfect” or the way he was used to them being. It was concerning for me and was something I wanted to work through with him. I know it sounds obvious but when you have a child who gets upset when routine is changed, it’s hard to enforce a change with them. 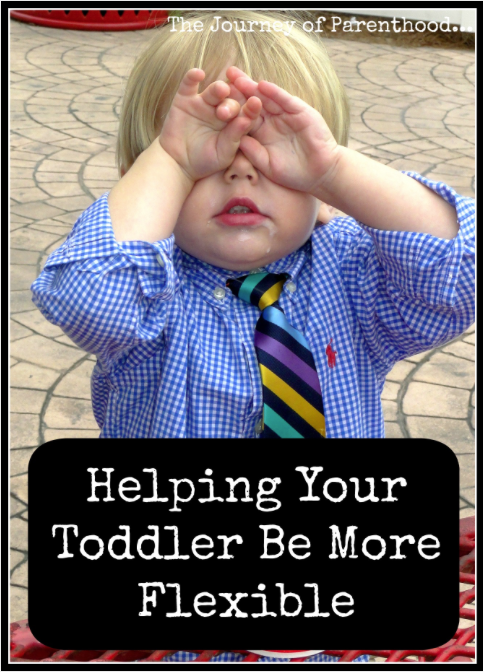 Don’t change major things (bedtimes, meal times etc) but find a way to make small changes to their routine to help them learn that it’s okay for things to be in a different order. For us we switched up the order of our bedtime routine. Sometimes we’d read book first, other times we’d pray first, sometimes I’d hold him in a chair rather than the bed, other times we’d cuddle together. I tried to intentionally mix things up every night and saw a HUGE improvement in his need for specific order. Truly just this one small, simple change had a big impact. Anticipation is SO fun with children. But my son had such a hard time when plans would change that I got into the routine of not telling him any plans we had because I didn’t want to deal with his reaction if they got canceled. I started back to telling him about things in advance. I’d preface it with “hopefully” or “the plan is” or “it may change but…” I never made promises that I knew weren’t for sure going to happen. And when plans did change? I talked to him about it. I told him it’s fine to be upset and disappointed, b/c Mommy is too, but that it’s okay that it didn’t work out and sometimes things in life don’t go our way. Allowing him to be disappointed helped him to see that it’s okay when things aren’t exactly how we had planned them to be. Of course we should always discipline with love but part of helping my son work through his perfection and obsessive stage was talking to him a lot about people making mistakes. How we ALL fall short. If we didn’t then we wouldn’t need God’s Grace. I always use discipline as a way to help my children grow closer to the Lord and talking through these things with him really helped him to understand that it’s normal to make mistakes, everyone sins, and that we’re so blessed to have a Savior who forgives us over and over! 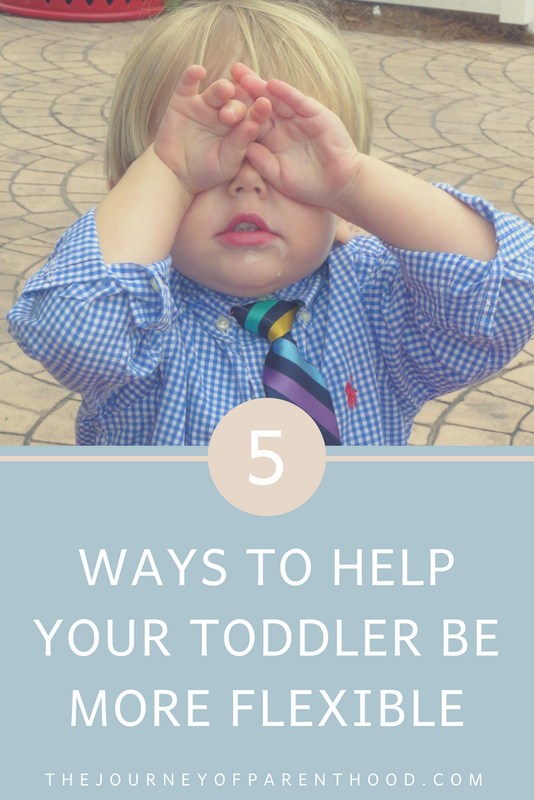 It’s hard not to overly worry about these types of stages, especially with your first child. But truly it’s a phase that they will come out of! I only experienced this with my son. Neither of my daughters have been obsessive about their routine order or have seemed as caught up with the desire to be “perfect.” I’m willing to bet that of the toddlers who show perfectionist/obsessive traits that majority of them are first borns. The reality is that 2nd, 3rd, etc kids are naturally more flexible because they have to be! With our first babies our world truly does revolve around them and their needs and their schedules so it’s understandable that they would go through a phase where anything outside of their set routine is a struggle! Does your child struggle with flexibility? What tips do you have to share? Looking for more on Babywise? Here’s my Babywise Page!